The cool weather in Cameron Highlands made it a perfect place to spend the entire day touring and strolling around beautiful strawberry farms. You’ll be surprised to see that strawberries are grown hydroponically on raised trays without soils here. 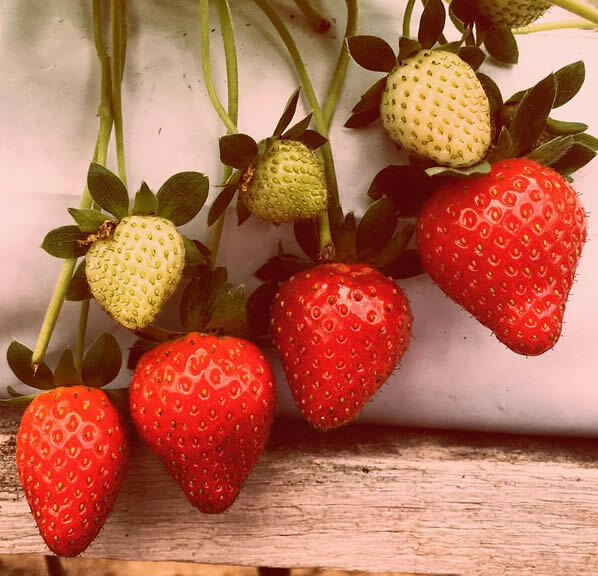 While there are plenty of strawberry farms in the highlands, you just need to visit some of the popular ones such as Healthy Strawberry Farm, Mountain Strawberry Farm, Kasimanis’s Strawberry Farm, Big Red strawberry farm and Raju’s Hill Strawberry Farm. Get yourself prepared when you reach the farm because you can pick strawberries of any size before handing it back to the vendor to determine the cost of the bag of strawberries you have just picked. Here’s a little tip for you – try to choose bigger strawberries as those are sweeter. Kids can learn everything about strawberries on the farm. Other than that, visitors can also taste a wide variety of products made from strawberries such as strawberry milkshake, strawberry ice cream, pickled strawberry and even strawberry ice. The strawberry syrup is especially sweet, delicious and juicy. To get to Kasimani Strawberry Farm, drive along the main road from Tanah Rata to Brinchang before making a turn after passing the golf course club house. One of the most popular and established names in strawberries here in Cameron Highlands. 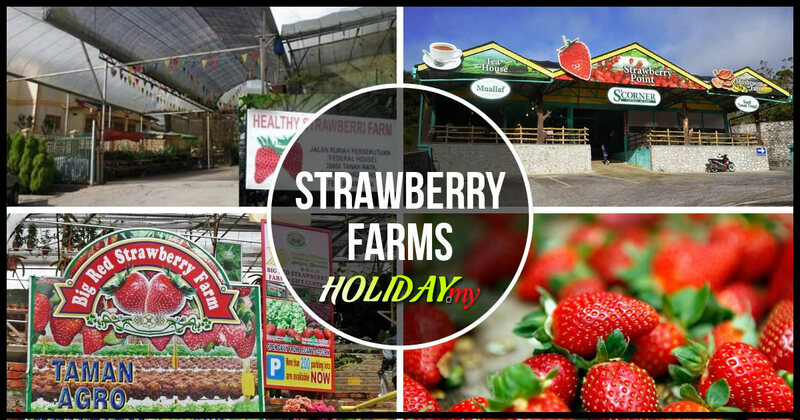 At Healthy Strawberry Farm, their commitment is to ensure that you have a memorable trip when visiting Cameron Highlands. Browse through their official website for all the updates and things to do and see during your visit to Healthy Strawberry Farm. Healthy Strawberry Farm is situated along the road leading to the renowned Cameron Golf Course which can be easily located or contact them and they will guide you on reaching there. Strawberries are often associated with Cameron Highlands and at Mountain Strawberry Farm, you can be close to how this wonderful fruit is grown and produced. Apart from strawberries, Mountain Strawberry Farm is renowned for its organic produce for more than 20 years now. Visitors to the Mountain Strawberry Farm are allowed to pick and pluck their own strawberries as well as the vegetables if they like. The farm is located along the road to Mount Brinchang where it has its own ‘Animal Farm’ which houses several types of animals like rabbits, chickens and goats and a favourite among the children. Located in Kea Farm, the S’Corner Central Market is a great place to buy some strawberries. Besides its farm here, you can check out how mushrooms are produced while the vegetable market is where you can buy some freshly produced greens. Besides that, there are shops here that sell souvenirs and crafts for you to take home. The Big Red Strawberry Farm is known as the Taman Agro Tourism and is among the very popular strawberry farms that is known for growing organic plants as well. You can pick your own strawberries here while enjoying some local delicacies at the cafe. This strawberry farm is located in the town of Brinchang where it is one of the very popular farms to visit. You can pick your own fruits or buy strawberry products at the shop. Besides that, this place is known for growing blueberries as well as vegetables. The Kok Lim Strawberry Farm is actually one of the largest farms in the whole of Cameron Highlands. It is located just outside the borders of Brinchang town where you can buy some products at the shops or pick out your own strawberries. Apart from that, the infamous Time Tunnel Museum is here while you can enjoy local snacks at the vintage cafe. Raaju’s Hill is located within minutes from Brinchang. It operates in Kea Farm where strawberries are sold by weight as a cafe that serves pastries and other snacks.